The Fresh Prince of Bel-Air TV show was a 30 minute comedy series on NBC about a street-wise teenager named "Will" from the 'hood in Philadelphia who got sent by his parents to live with their wealthy relatives in Bel-Air, California. The purpose of the move was for Will to learn how to be more decent, responsible, and less childish. Will's wealthy family members, however, found that there were things that Will could teach them too! By: "Willard Smith And Jeffrey Townes"
And all shootin' some b-ball outside of the school. And said "You're movin' with your auntie and uncle in Bel-Air." But I thought "Nah forget it, Yo home to Bel-Air." 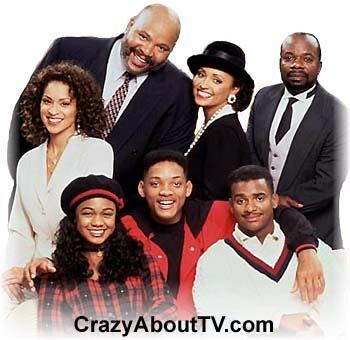 Thank you for visiting our Fresh Prince of Bel Air TV show page!